The horrifying collapse of the building in Bangladesh was on my mind when I went on another shoe expedition this weekend. With Denver temperatures reaching the 80s, I wondered if I’d have to imprison my toes all summer in lace-ups that accommodate my boat-sized, white orthotics. Since Colorado might as well be called Flip-flopistan (some people wear them year round, weather be damned), with most folks exposing their toes as soon as, and for as long as, possible, I worried that frumpy feet would be an insult atop my injury of tendonitis. At a shoe store yesterday, a salesman showed me a few sandals with removable foot beds. As long as my orthotics fit within the footprint, my toes could wiggle in the warm weather. He also introduced me to Foot Zen’s black skimmers that could be slipped over the orthotics, camouflaging them. Perhaps it’s a sign of middle age, but I practically squealed with glee and relief that smart designers had created products for these particular needs. These specially engineered shoes run in the three digits, and most are foreign brands: Naot (Israel); Wolky (Netherlands); Finn Comfort (Germany); Ecco (Denmark); Ziera (New Zealand). Since I own three Wolky sandals, found on sale over the years, I checked to see if my orthotics would fit them. My new and necessary supports are too large. I’d have to bump up a size, to a European 42. 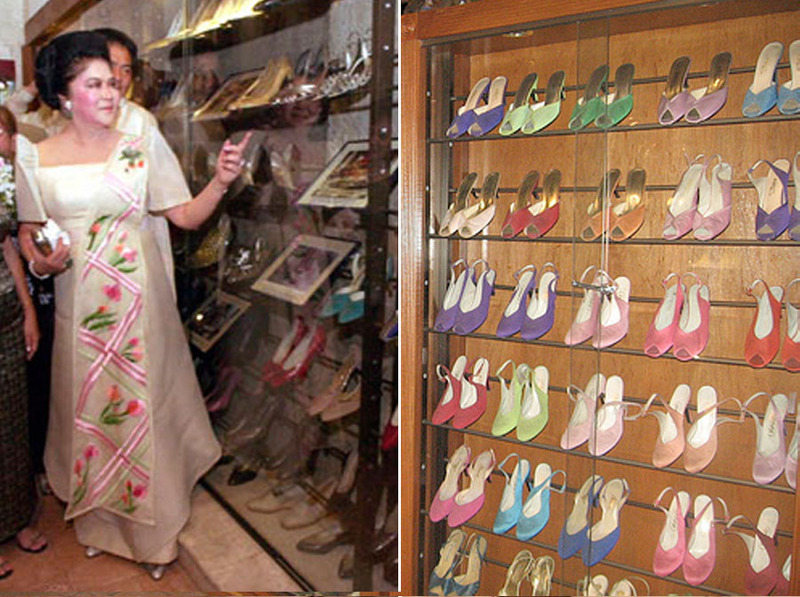 Although I’ve never come close to Imelda Marcos’ shoe connoisseurship (1,060 pairs), as a first world woman I’m used to owning more than one of each type of footwear. Even in the realm of sandals, one can easily claim to “need” a dressy pair and a casual pair. That’s two, at a minimum, of just one category. Multiply that across different seasons and occasions and the number can pile up. In the United States, flooded with inexpensive merchandise, one can enjoy a large footwear wardrobe without breaking the bank. It’s easy to be seduced by a low price. But as the Bangladesh disaster reminds us, cheap stuff can carry a sickeningly and shamefully high cost. Is the momentary thrill at finding the right shoe/shirt/skirt worth it? As I discovered last September, while purging my closet, much of what I had accumulated no longer gave me pleasure even if it had been a good “deal” or a fun acquisition at the time. Since then, I’ve tried to be more discerning about what I buy. Now that I need to purchase larger sandals, and because the only ones I can wear come with an “investment” rather than a bargain price tag, I will have to evolve from consumer to curator, carefully considering which color and style to choose. And rather than feel guilty about a splurge, I can sleep better for supporting companies that (as my cursory Internet sleuthing has indicated) treat workers fairly. Sometimes, spending more is the sensible thing to do.